War poetry has always caught the public imagination. 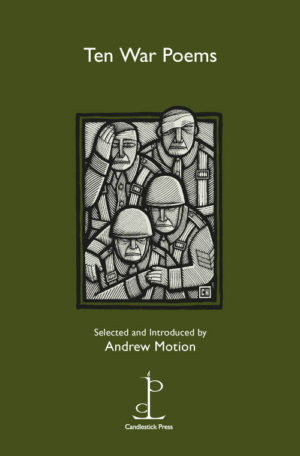 Here, Andrew Motion chooses ten war poems from an enormous, varied and arresting tradition. Wishing to “catch the subject by surprise” rather than opt for the obvious classics, his chosen poems meet the reader head on.